New album from ska-core band Best of the Worst album is now streaming and available for pre-order. Fishbone are on tour and will continue to do so throughout Feb into early March. This Saturday, Feb 9th, is SkaWars 2013 in Los Angeles, CA. The Suburban Legends are getting ready to head to the UK in 2 weeks. In that vein, it looks like Wisecracker will be all over the place after that show. Jamaican Oldies Weekend will be on in Chicago on March 1st & 2nd. Sometime in March the Specials will be touring America. The London International Ska Festival starts on March 28th. 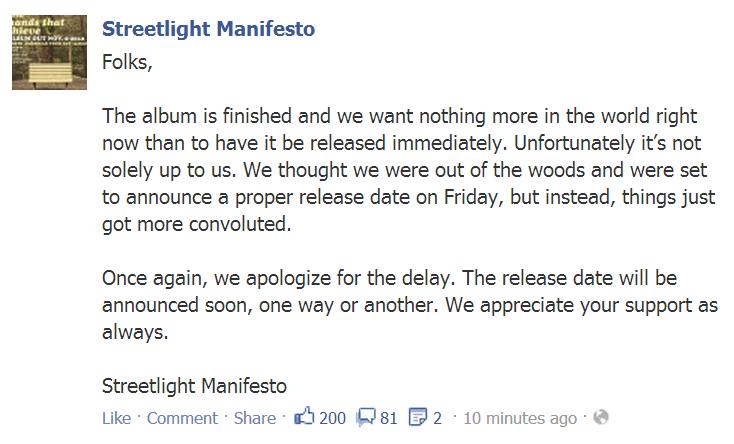 Streetlight Manifesto’s newest album has been delayed… again. BAM! When you least expect it, here’s a full on music episode! Time to get down and dance! A lot of newer stuff going down here too! We open up w/ the Shifters, who if you haven’t heard of by now, now you know, and now that you’ve heard them, you love them. It’s cool, it happens to everyone! Love of the Shifters is inevitable. 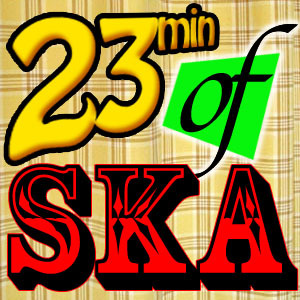 This episode also as Survay Says bringing some awesome ska-punk from their new single and the Suburban Legends hitting us up w/ some pop-ska from their latest album. The Upsessions and the Rotterdam Ska-Jazz Foundation bringing us all some great music from Netherlands and a brand new song from the Loose Ties and their upcoming album. This episode closes out w/ a song from the One Droppers who sadly broke up late last week. You were a great band, the One Droppers, you’ll be missed! Thanks for all the music! Don’t forget to enjoy the fruits of my labor and get some awesome ska vinyl by hitting up the Big Ska Gamble.